​Brighton welcome Burnley to the Amex on Saturday night for a massively important fixture due to each side's proximity to the relegation zone. The Seagulls are currently the more comfortable of the two - five points clear of the relegation zone - whereas the Clarets find themselves a mere two points above the drop zone. Neither side is in brilliant form and ​Saturday's clash may not be a classic, but whoever comes out on top will be well placed to achieve their objectives in the second half of the season. Chris Hughton will be without Colombian winger Jose Izquierdo due to injury. Brazilian defender Bernardo is a doubt, as is Dale Stephens, who will be a big miss for the Seagulls in the middle of the park - Yves Bissouma is likely to come in for the injured midfielder. Burnley boss Sean Dyche will still be without the injured Jonathan Walters and Aaron Lennon. Steven Defour and Matt Lowton could be available but Dyche may give them a few more games to fully recover from their injuries. ​Brighton Ryan; Montoya, Duffy, Dunk, Bong; March, Gross, Bissouma, Propper, Locadia; Murray​. ​Burnley ​Heaton; Bardsley, Tarkowski, Mee, Taylor; Gudmundsson, Cork, Westwood, McNeil; Barnes, Wood. Brighton and Burnley have shared the pitch a total of 32 times with the numbers pretty even, with the sides winning ten games each and the remainder ending in draws. 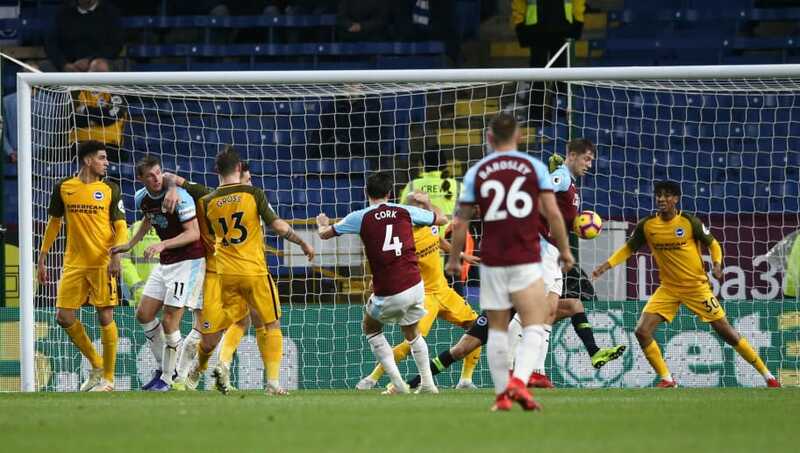 Burnley were victorious in the last meeting between the two sides, just edging the game 1-0 thanks to James Tarkowski's goal. Brighton have only won one of their last five, that victory coming in their most recent match against West Brom in the FA Cup, but two draws and two losses in the other four does not look good for Chris Hughton and his men. Burnley too have only won one of their last five encounters, coming against Fulham in the Premier League. Sean Dyche will be looking to get further away from the drop zone as soon as possible and a win on Saturday could put his team five points clear of the relegation places. The two teams are similar on paper and this fixture often ends in a stalemate, which neither side would be too displeased with, but a win could take huge pressure off the shoulders of both managers in their hopes of avoiding the drop. With both sides in good attacking form, fans will be hoping for plenty of goals on Saturday but that may not be the case. Brighton's home advantage might give them the slight edge they need to take all three points.